The awesome vault cracking feature is back in June and the rewards are more tempting than ever! 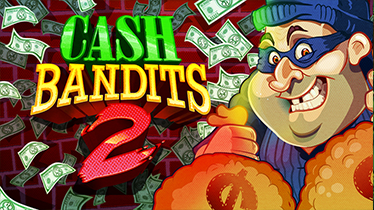 Enjoy Cash Bandits 2 with the Silversands Casino bonus set! Deposit between R100.00 – R999.99 and get 30% Bonus + 20 Free Spins. Deposit between R1,000.00 – R4,999.99 and get 40% Bonus + 60 Free Spins. Deposit R5,000.00 or more and get 50% Bonus + 100 Free Spins. Can be redeemed up to 30 times until 30 June 2018. Wagering is set @ 10x (Deposit + Bonus received + amount obtained from free spins). Standard T&C apply where necessary. If you haven’t downloaded the Silversands Casino software, you can download it here.